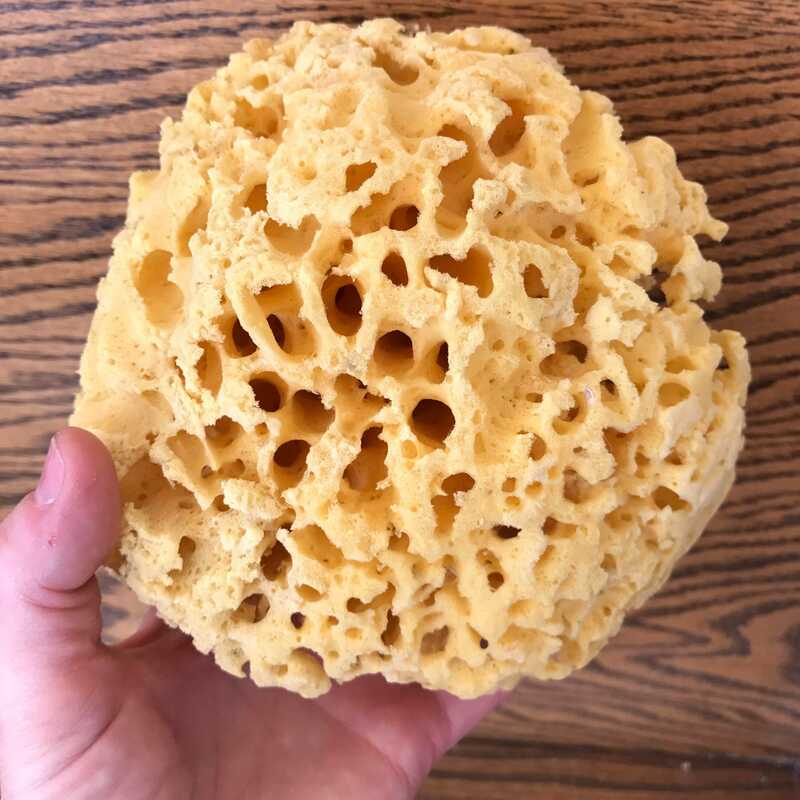 This listing is for a bulk order of 5 large 5-7" sea sponges including one time shipping within USA. You can use these whole for bathing or cut them in pieces for embedding in soaps like the pictures above. Since they are natural, they vary in texture, color and appearance and usually have a cut side where they are cut from the colony. 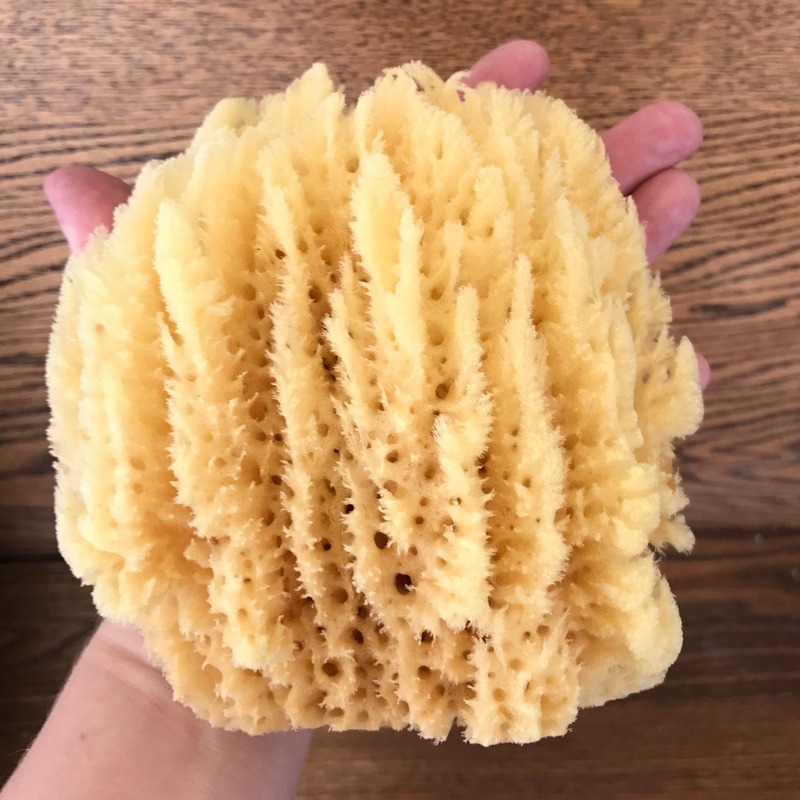 Our sea sponges are a natural product sustainably harvested and cleaned for bathing and so much better than the plastic & petroleum artificial sponges most people are used to. 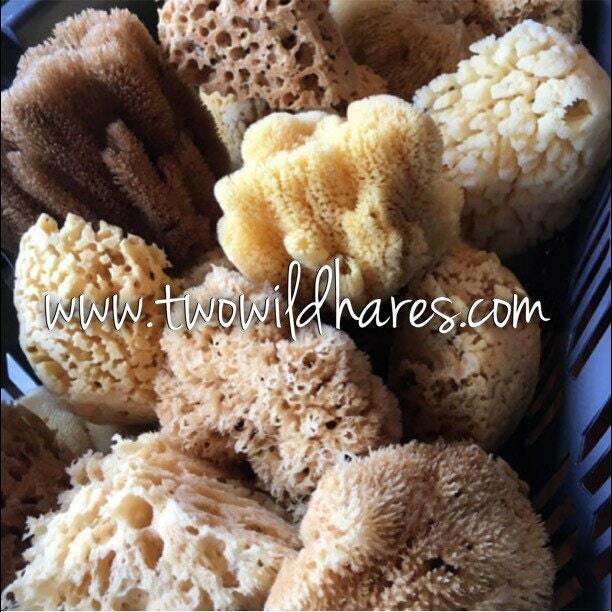 These sponges are naturally antibacterial without chemicals added. Since this is a natural product, size, shape & color varies. After rinsing, squeeze out excess water and use kitchen shears to cut them. 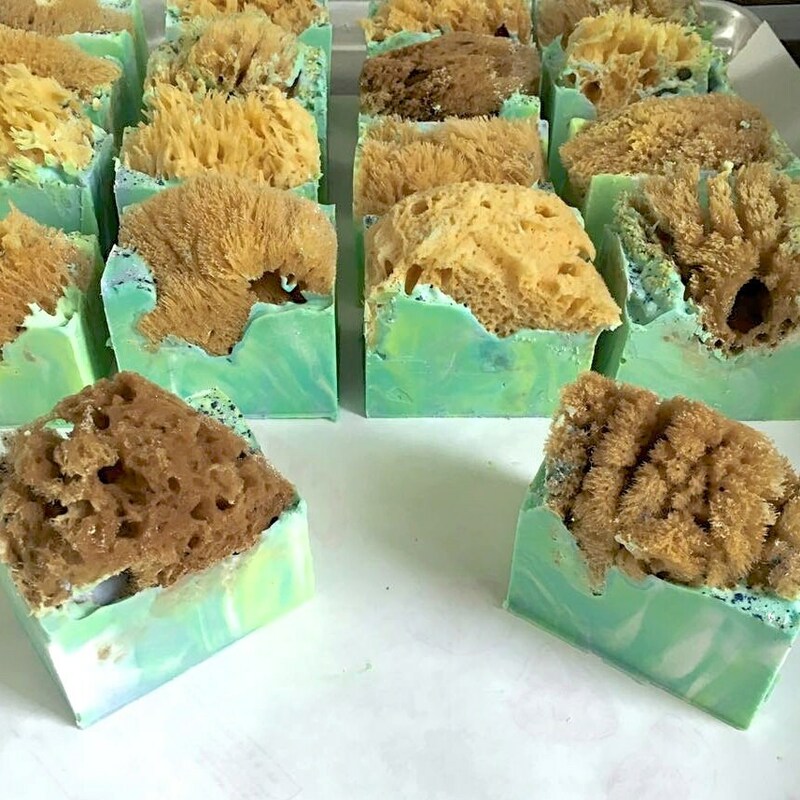 We get 6-8 cuts per sponge for our sponge soaps. (Your number may be more or less depending on how big you want your cuts and how big your mold is.) 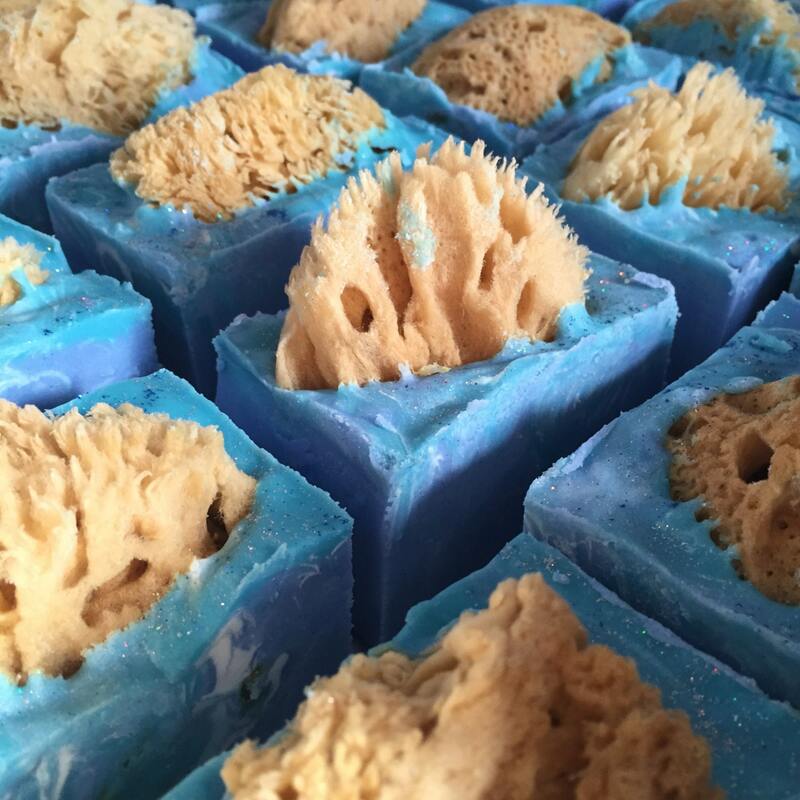 Pour soap at a light trace, plunge sponge cut in and wiggle to release air and adhere the soap well to the sponge. 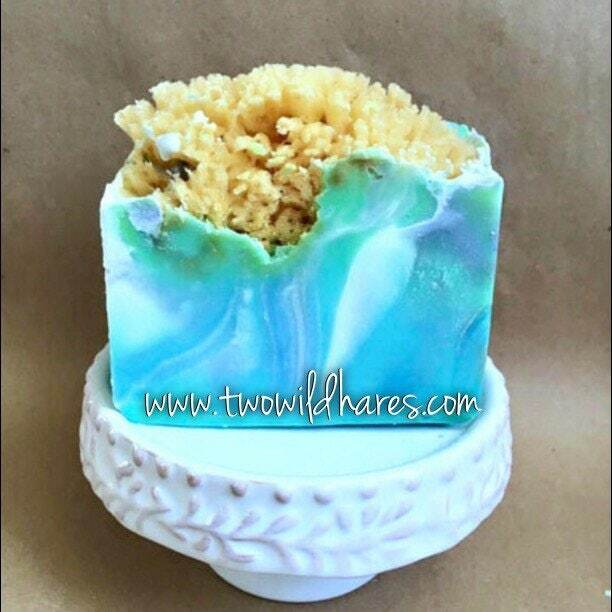 Soap at a cool temp to avoid damaging the sponge. *No finished product pictured comes with this listing. They are examples only. 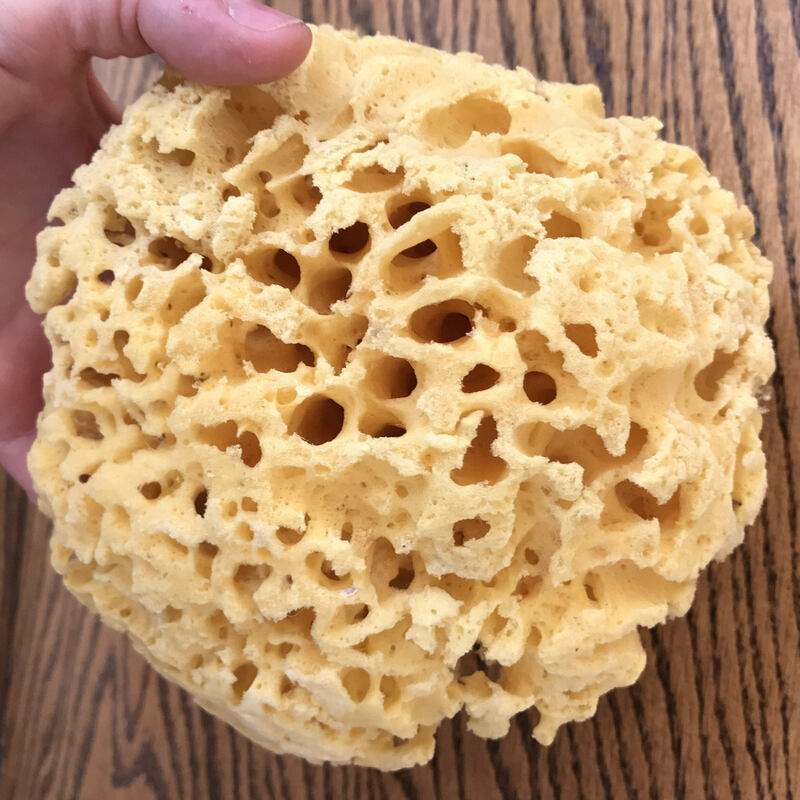 These are high quality sponges. 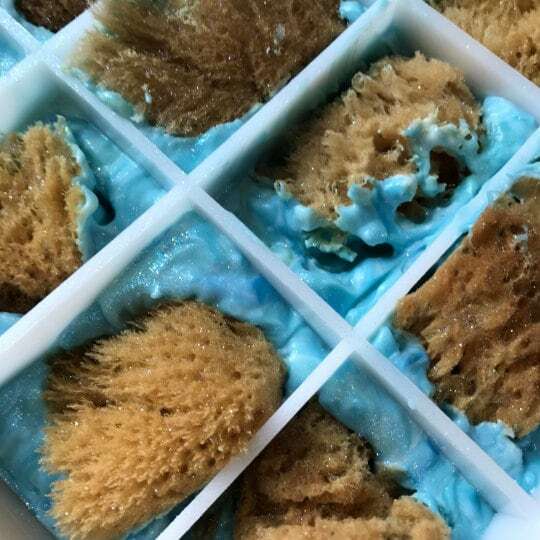 I'm thrilled to be able to offer these as a pairing for my hand made soaps. 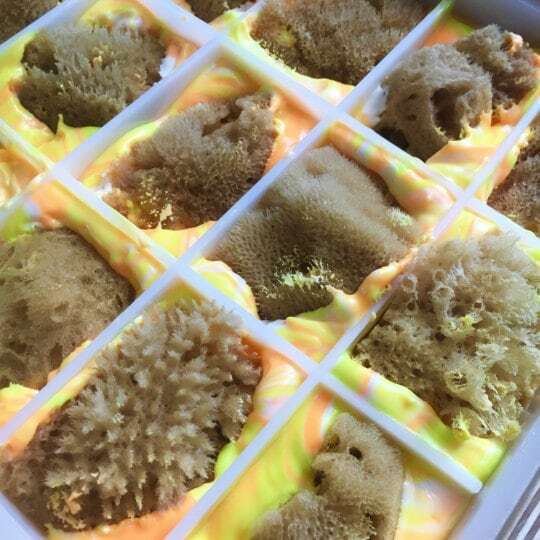 Very nice sponges. Super fast shipping!